It was the cheer heard across the Internet when archive.org announced its catalog of MS-DOS games that users could play in their browsers. Choosing an MS-DOS game to play from over 2,600 games can be a daunting task, but luckily for you we’ve gone through the archives for you and picked out our favorites. We’d love to sit here and tell you that we spent our youths playing the cool MS-DOS games, but sadly, we didn’t. We played some weird ones. 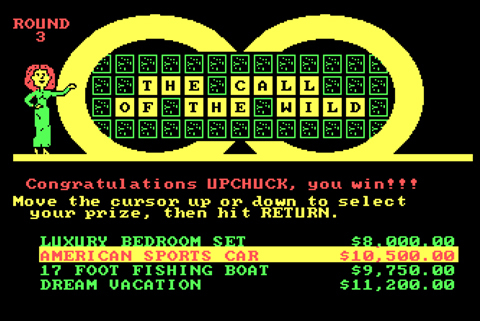 If you were playing MS-DOS games, chances are that one in three of those games were based on a game show from the 80s. 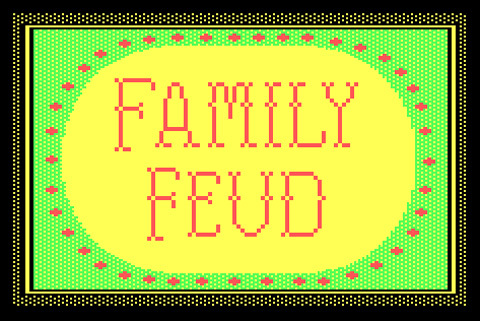 Family Feud, in all of its red, lime green, and yellow eye-bleeding glory, was also more than likely among your choices. The game was very particular about formatting, so while you may get the answers correct, you sure weren’t getting points for it. On the plus side, you could name your family anything you wanted to, so obviously you used your real last name. 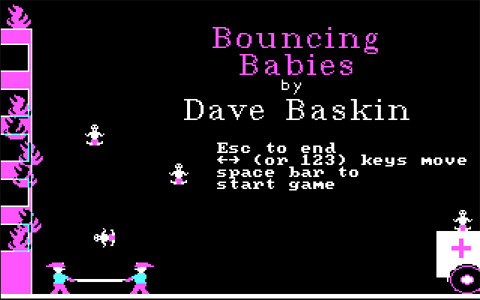 I’m not sure what it says about me that I enjoyed playing Bouncing Babies, a game where babies were thrown out of windows (out of a top-floor apartment building, no less), but here we go. I guess the babies were being tossed from the building for a good reason– the thing was on fire. A hot, burning, magenta fire. Babies are flung out and you and your firefighter buddy need to catch them on your giant trampoline. The title is not an alliterative exaggeration– these babies bounce and they bounce hard. Make sure to get ’em into the ambulance for safe keeping. Or maybe I’m trying to make up excuses as to why my best friend and I would play this for hours, ultimately killing hundreds of (not so bouncy, as it turns out) babies. Am I a serial killer? 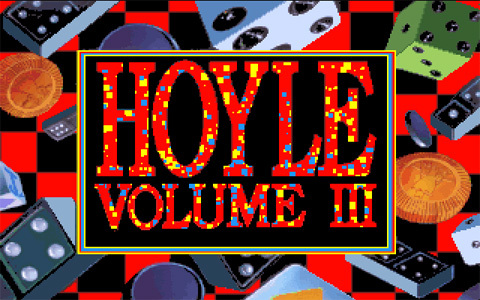 Since a person can only play Solitaire and Minesweeper for so long before losing their mind, Hoyle Official Book of Games – Volume 3 was a godsend for me. Hoyle included a bevy of card and other board game-type activities. You could play with others, or if you were an only child with little to no friends– you could play with yourself against three other computer-controlled players. These computer-controlled players were definitely the highlight. You could choose from Good Guys which included Larry (as in Leisure Suit Larry, as in, I didn’t realize Leisure Suit Larry was a dirty game until recently because whenever he came up I just assumed people were talking about Hoyle), Sonny (who looked like a young John Denver), Mother Goose, and a few others. 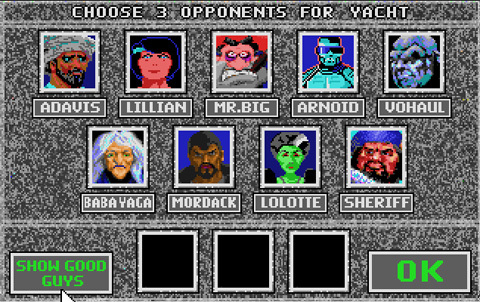 There were also Bad Guys to choose from, like Mr. Big, Baba Yaga, and my absolute favorite: Arnoid. Games included Checkers, Backgammon, Dominoes, Snakes & Ladders, Pachisi, and of course, Yacht. What was Yacht? Just Yahtzee with a weirder (or less weird) name. Also, this was probably the only good version of Checkers ever because you just played with frogs. What? Really. 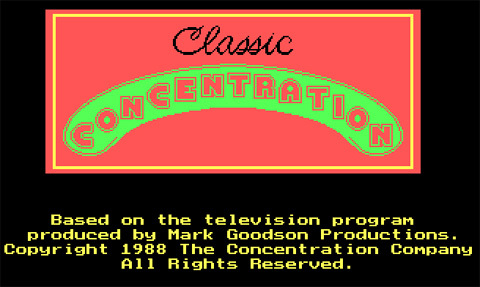 A game like Classic Concentration is just that– classic. If you have a penchant for puzzle-solving and for the color cyan, this game was your jam. 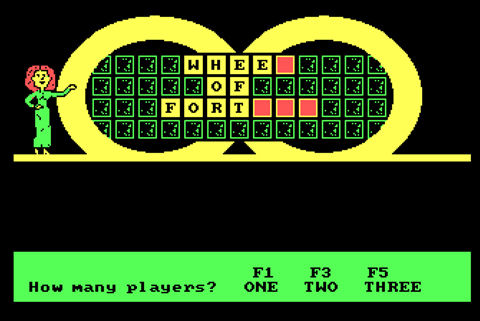 Based on the popular game show, Classic Concentration pitted you against your friend (or more realistically, another computer player) as you fought to the death to find pairs of matching tiles, clear the board, and solve the puzzle hidden underneath. The best part of this game, hands-down, was playing as the old lady. Whenever she’d got something right, she’d knit! How extreme is that!? 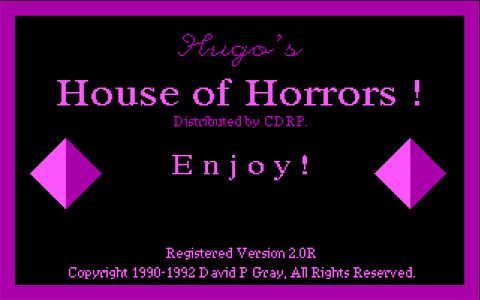 Hugo’s House of Horrors was one of those games that just showed up on my computer one day. I’m sure it was via nefarious means, but the important part was that it was there. When you open Hugo, it looks like a lot of fun. Interesting scenery, colors beyond yellow-magenta-cyan… this could be good– oh, it’s one of those text parser games. Nope. This is going to be a long night. The game is pretty much what you’d expect it to be– Hugo has to find and rescue his girlfriend from a haunted house. Wacky hijinks ensue if you can get into said freaking house. 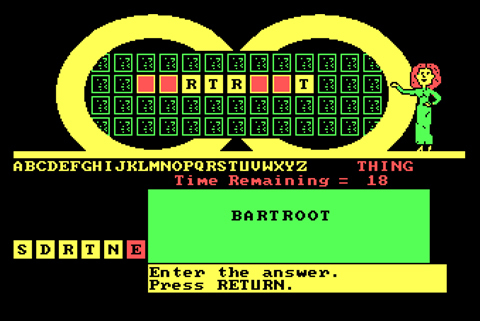 Wheel of Fortune is the classic DOS game that everyone had in the 80s. At the time, no one questioned why Vanna White was represented as a red-haired Marge Simpson. We just rolled with it. I still own a Windows 2000 laptop that sounds like a lawn mower just so I can bust out the occasional Wheel of Fortune game. I’m pretty sure I learned how to spell from the many afternoons spent conquering computer players. I also realized cash value means nothing and to go for the prize that sounded the coolest. Always pick the car. ALWAYS. Pick. The. Car. I was delighted to learn I’m still pretty good at this game, as I played a round to get the screen shots. The bonus rounds are still really hard, though. Much like Wheel of Fortune taught me spelling, Test Drive taught me to not over run my car engine. Seriously, I was just explaining how shifting gears works to someone a few weeks back and told them if you don’t shift at the proper time that the windshield could crack and it’d be game over. Okay, let’s be honest. 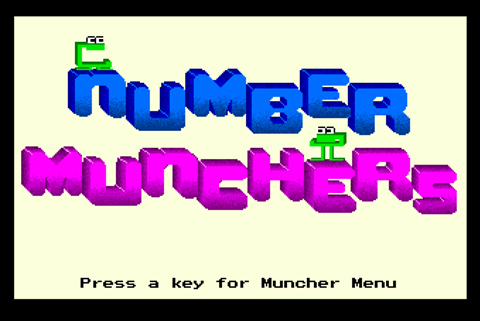 Number Munchers was one of those games you only played in school because you had nothing better to do. That didn’t stop anyone from wanting to be in the Number Munchers Hall of Fame, though. 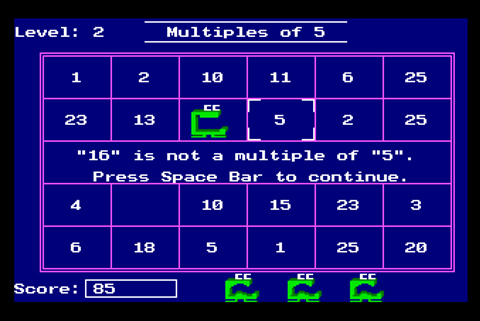 Math was never my strongest subject, so I was more of a Word Munchers fan. 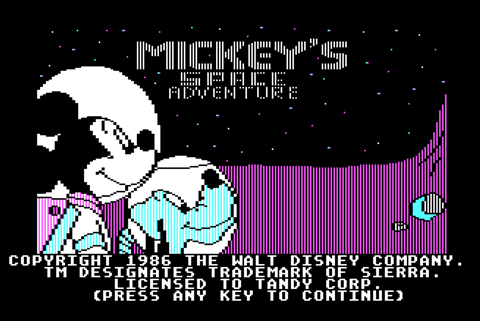 Truth be told, I didn’t actually have Mickey’s Space Adventure for DOS. I had it for Apple II. That’s right, I had an Apple product before it was cool. 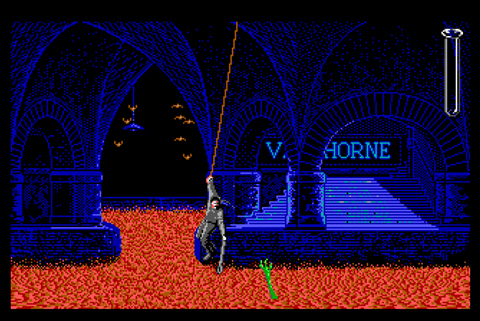 It’s interesting playing the DOS edition of this, as the graphics are significantly worse. 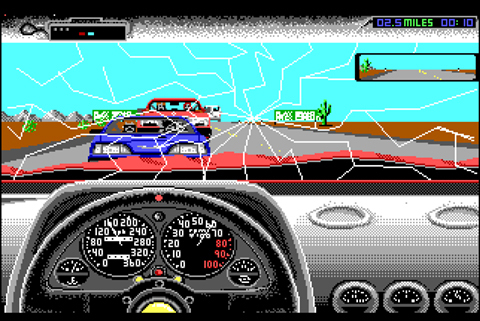 Also, on computers of the 80s it took the graphics in this game FOREVER AND A DISK DRIVE to load. On my current i7 machine? Instantaneous gratification. My parents rarely allowed me to play this game because it was entirely too complex for the intended demographic of three year old children. Playing it again as an adult, I gotta say I completely agree with their decision. 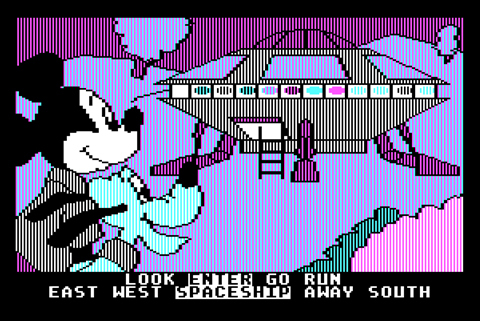 Still, though, how often do you get the option to Enter/Spaceship in a text driven game? 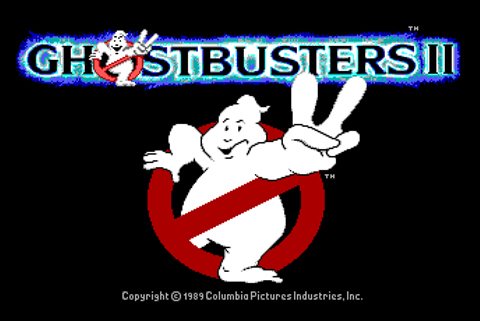 Ghostbusters II is about as disappointing as it gets for a movie tie-in game. Let’s start with the good. 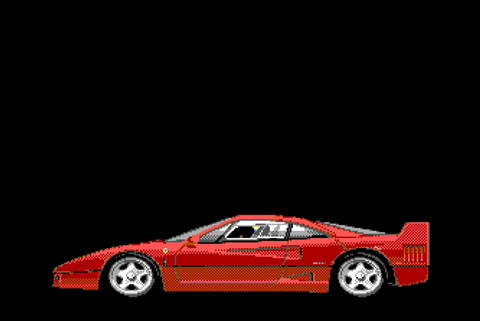 The graphics were top-notch, way better than any console game. 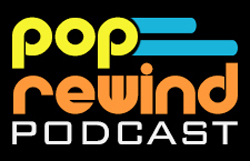 There were sound clips from the movies! The bad? Everything else. Seriously. The game mechanics made no sense and most of the game is spent doing paperwork around the office. 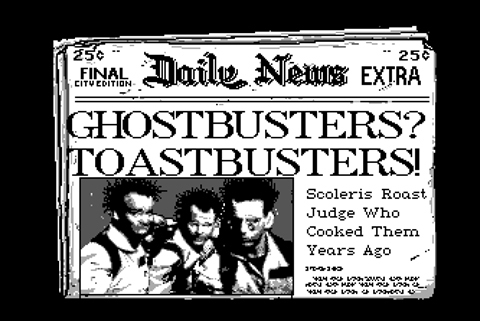 What DOS games were you fans of? Let us know! 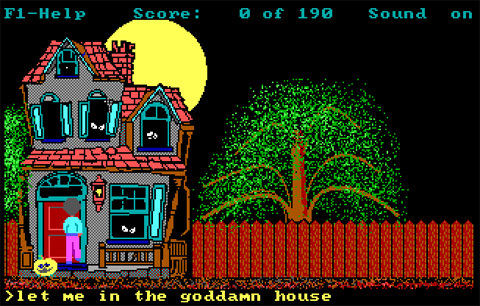 Holy hell I haven’t thought of Hugo’s House of Horrors in years. I remember playing at least half of those.